So often when working from home, it is easy to forget the need to still dress as if you are “going to work.” I worked from home for eight months and now still spend a few days a week working from home as a blog writer. The first thing people always say is, “Boy it must be nice to spend all day in your pajamas!” As tempting as those flannel pj's and no makeup days are, there is a very direct connection between how you look and how you feel. Image is not only how others perceive you, but also a reflection of how you feel about yourself. Many people feel that it is vain or a waste of time to make your appearance a top priority, when, in fact, it is just another part of improving your business. Imagine showing up to work at an office in sweatpants! I'm sure you've been tempted. The same reason you would not then should be the same reason you would not while working from home. While working for someone you never know when they will come by, and that reason alone is enough to be dressed up. The same concept applies from home, but this time you're the boss. Let's be honest: who doesn't want the boss to be impressed? A great rule to follow in many walks of life is always be prepared. You never know when that one opportunity will walk into your life to change it for good. 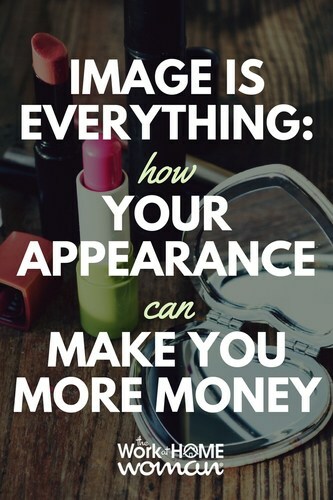 So, why not be prepared in every aspect, including your image. Training yourself to take the time to properly get ready each morning will make you feel more organized and driven to have a stronger work ethic throughout the day. 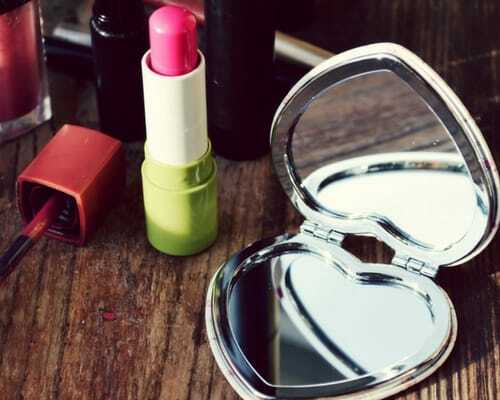 Take the time to style your hair, and put on makeup: even if it is a quick “five-minute face,” it is still going to make you feel and look complete. As for your wardrobe, educate yourself on what the current styles are. If you do not have the money to spend on expensive outfits, still go to the upscale stores to try items on. This will familiarize you with good fit, standards, and fabrics. Start by creating a simple, quality wardrobe that is full of transitional items. You don't need trendy; you need classic. Choose basic items such as fitted cotton tees, sweaters, blazers, and casual shift dresses that are comfortable enough to work at home in, but can easily be worn to a meeting or out to dinner. This will make getting dressed a lot easier, and guarantee you get your money's worth out of your wardrobe. If you are not only working from home but raising kids on top of that, you truly are wonder woman! Mothers of young children especially, always seem to feel the most unworthy of spending time on themselves. The first step of investing in your image is to believe that you are worth the time it takes to become the best version of yourself. You deserve to feel confident and pretty at all times; not just for your own peace of mind, but also for your business (and your family!) Once you have accepted this, the next step is simply working to achieve a more polished appearance. I know from experience how easy it is to dive into work as soon as you wake up, and before you know it, you have yet to eat or even shower by mid-afternoon. Prioritize your time by designating 20 or 30 minutes each morning to get dressed and do your hair and makeup. Set out your outfit the night before so that it is put together, pressed, and ready first thing in the morning. The process of upgrading your image may seem overwhelming at first. Break it down into steps such as getting to know current styles; buying basic pieces; asking your hairstylist to show you simple hairstyles that you can do; and putting together a quick makeup routine. Before you know it, you will be looking and feeling much better about yourself and the great work from home woman that you are! Emma Burk is a Certified Image Consultant and Wardrobe Stylist, and the creator and writer of theemmakat.com, a life, and style blog. After spending her teenage years dealing with a negative body image, she decided to change that by transforming her way of thinking and her appearance. Now she spends her time helping other people find the best versions of themselves by creating a polished wardrobe and image.